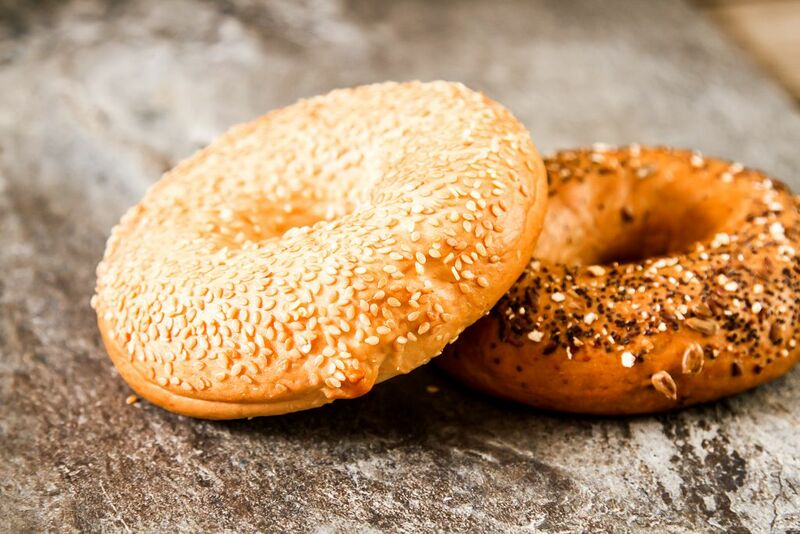 Bagels are traditional breakfast food that many people can’t get enough of. My father used to drink coffee with a pair of bagels—that’s how a big a fan of bagels he used to back in the day. Let’s say that you had ordered several bagels at a bagel shop, but you weren’t able to eat them all. What would you do? 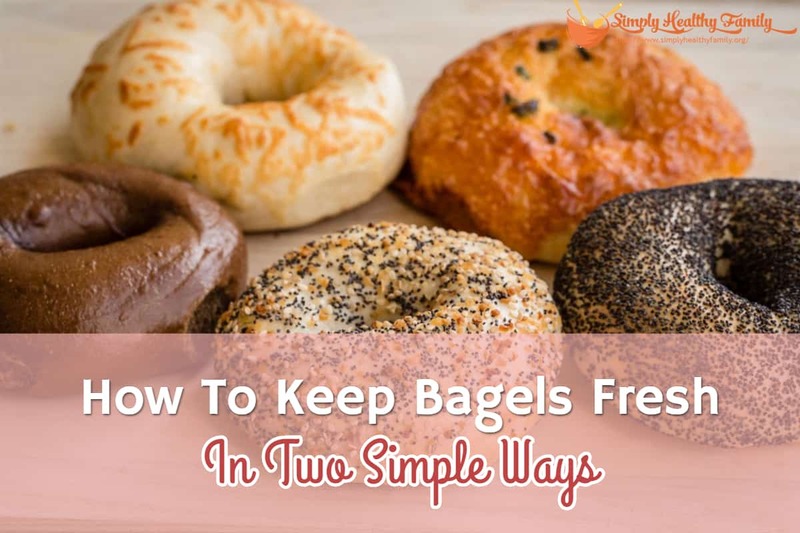 Continue reading as I will teach you some tips and tricks for keeping bagels fresh. 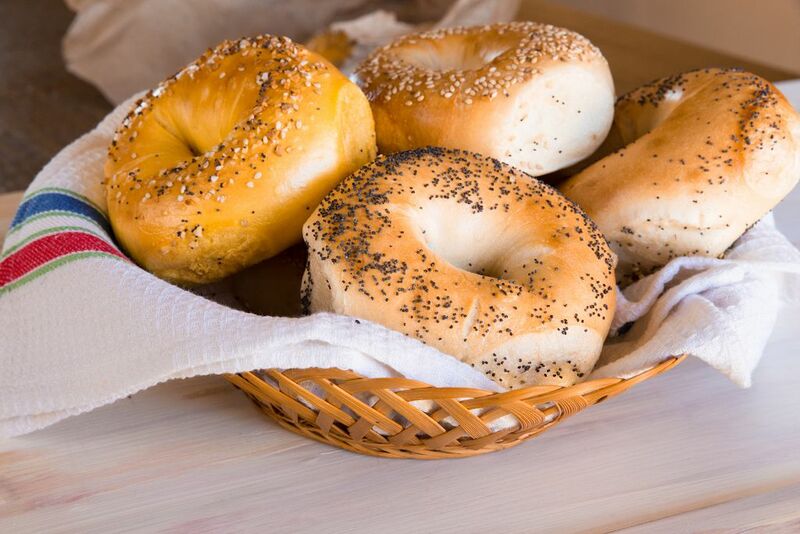 Bagels are originally from Poland, with the Jewish communities known to be the first people to produce it. The name comes from the German word “breugel” which means a round loaf of bread. It is a dense and chewy dough which is often confused with doughnuts. It is often topped with baked seeds like sesame seeds. The shape is perhaps the only similarity of bagels with doughnuts. 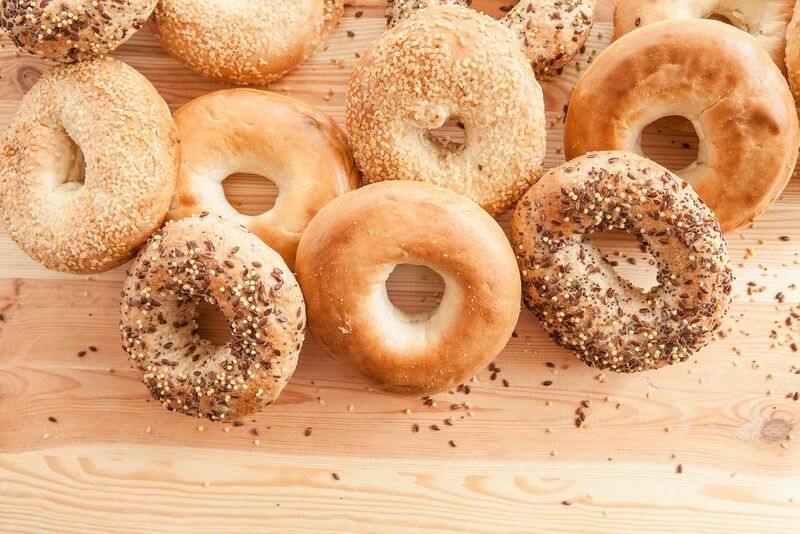 While not exactly the healthiest food, bagels have fewer calories than doughnuts. 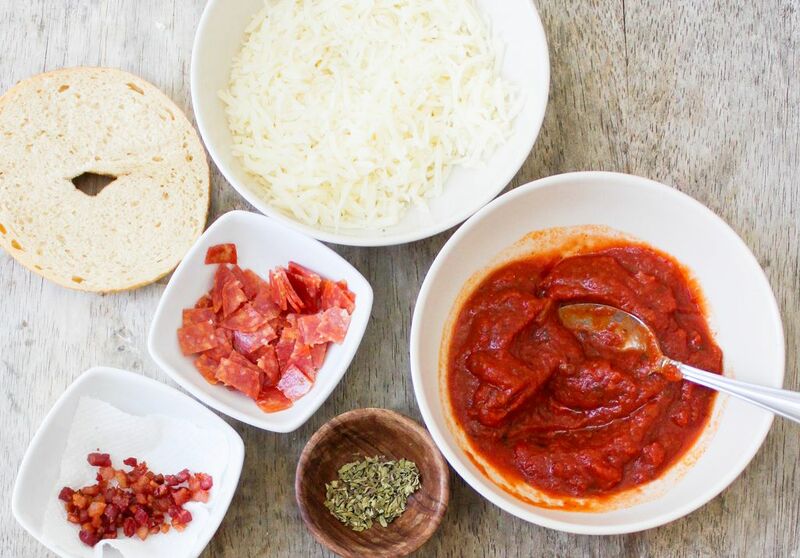 These are also more versatile because they can be eaten plain or served with other foods. It’s alright to store bagels in the pantry, especially if you are to keep them fresh for just a short time. Seal the bagels in a plastic or paper bag. Keep it airtight as possible since bagels can go stale when exposed to air. Keep the bag out of direct sunlight. When properly stored in the pantry, bagels can stay fresh for up to five days. If you don’t think you can eat or use up all the leftover bagels for an extended period, then the best course of action is to freeze them. When stored in the freezer, bagels will be fresh for up to three months. In fact, many people say that it would still be OK to eat frozen bagels up to six months. That may be true, but the quality or flavor would not be as good as it used to. In thawing bagels, simply set them on the counter overnight. Store the frozen bagels in a cool and dry place, then use or it them the following morning. While it is alright to freeze bagels, storing them in the fridge is a different matter altogether. In fact, refrigerating bagels is not recommended at all. Doing so will cause the bagels to become dry and less chewy. But what are your options once you have decided to use or eat the frozen bagels? One way to do so is to microwave the bagels. Start by sprinkling it with water. 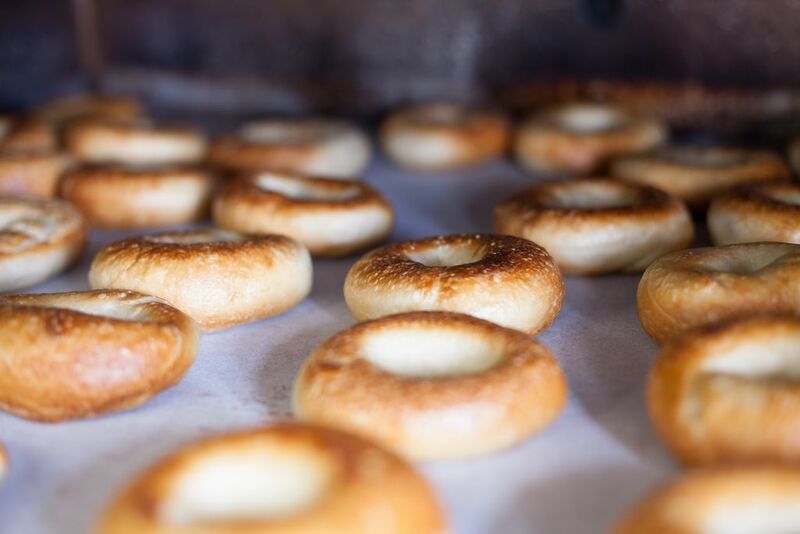 Wrap the bagels in a foil or paper bag, then place this in an oven preheated to 350 degrees. It should take 10 to 15 minutes for the oven to warm the bagels. You can also dip the bagels in water. Shake them off them heat them in the oven for 10 to 15 minutes, sans a paper or foil bag. I’ll give you pointers on how to properly and safely slice bagels. Slicing bagels may sound so simple, but you would be surprised that there are lots of people who make an unexpected and embarrassing trip to the E.R. because of bagel cut injuries. First things first—invest in a good, sturdy bread knife like this. To cut a whole bagel, place it on a non-slip cutting board. Grip the bagel from the top firmly enough to prevent it from tilting side to side. Meanwhile, your other hand is firmly holding on to the knife. The knife should be facing downward and in between your hand and bagel. Slowly cut the bagel in half. Let the knife do most of the work while keeping your fingers out of harm’s way. Using a back and forth motion and applying light downward pressure on the knife, slice the bagel all the way through the cutting board. Once you have cut the bagel in half, put its flat side down on the board. While pinching its sides to keep it firmly in place, slowly slice through the middle of the bagel. In case you have grown tired of eating bagels, you can reuse it in many ways. 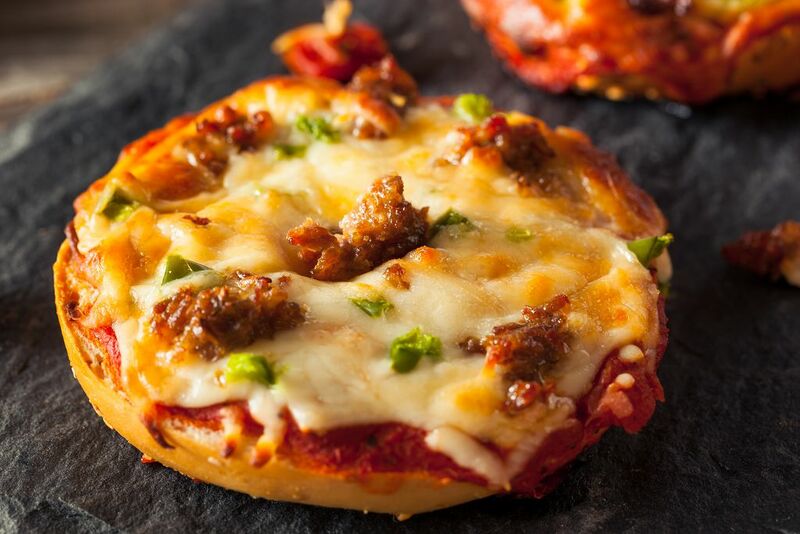 Here's a simple bagel pizza recipe that you can try. 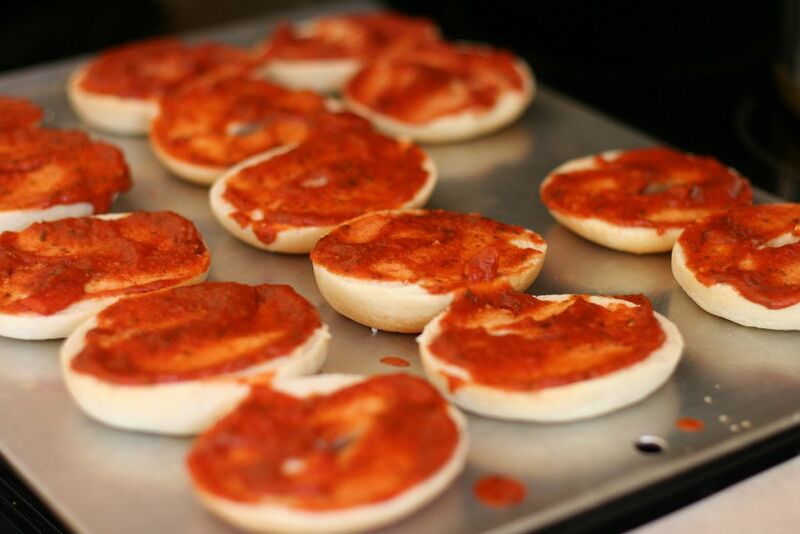 Spread a tablespoon of pizza sauce over each half of bagel. Bullet PoiSprinkle cheese, mushrooms, and bell pepper om each bagel half. Bullet PoiSprinkle cheese, mushrooms, and bell pepper om each bagel half. Put this on an ungreased cookie sheet. Bagels are a favorite breakfast meal for many people. 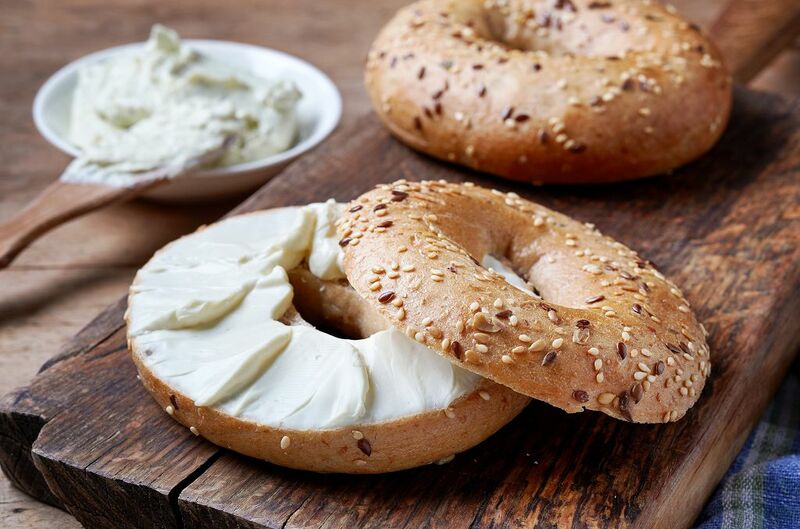 Aside from being delicious, what makes bagel such a great treat is that it doesn't go stale easily. When placed in the pantry, bagels can remain safe to eat for up to 5 days. Like in the case of other foods such as spaghetti, freezing is the best way to extend the shelf life of bagels.